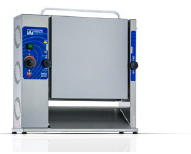 HKE Solutions offers Prince Castle food preparation equipment. Prince Castle is a global food service equipment manufacturer that specializes in developing quality products that can consistently serve great-tasting food quickly and safely to the the worlds premier restaurant operators. Below is a a list of categories for equipment we provide. Call us or click on the links below for more information.